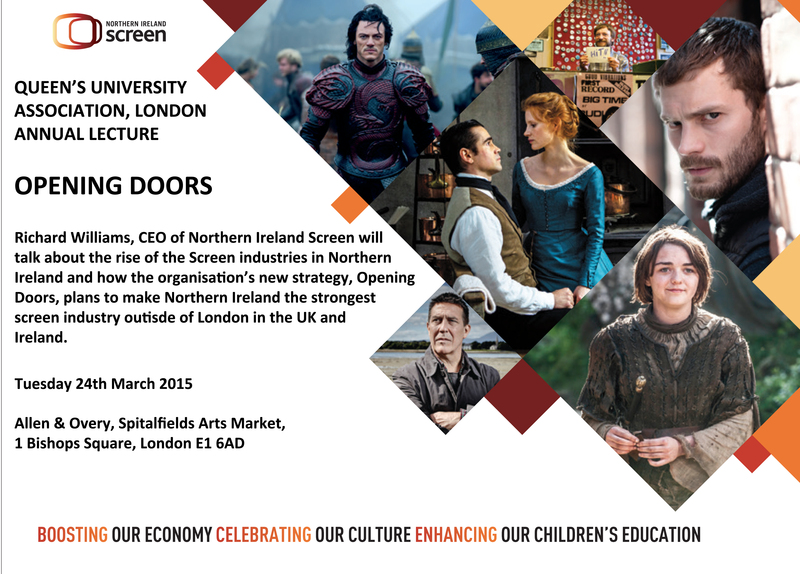 We are delighted to welcome Richard Williams CEO of NI Screen to deliver our lecture this year. Richard will tell us why we’ve been seeing so much more of Northern Ireland on our screens both big and small and explain the positive effects on the wider economy. It’s a real pleasure to announce this event so soon after the Bafta win for Northern Ireland short film Boogaloo and Graham. The event will be at the offices of Allen and Overy, Bishops Square, E1 6AD on Tue, 24th March, 7pm for 7:30pm.